Happy trails! 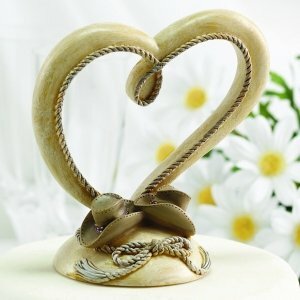 This stylish open heart Country Flair Wedding Cake Topper will wish the new couple future happiness. What a fantastic choice for Western themed weddings! It is embellished with resin rope and miniature cowboy hats to give it a distinctly country feel. The topper is constructed from quality resin. There will be no question about the theme at your special event. Cake topper measures 3-1/8" x 5".